The Buckeyes are now counting on Master Teague III to help carry them to victory in 2018. 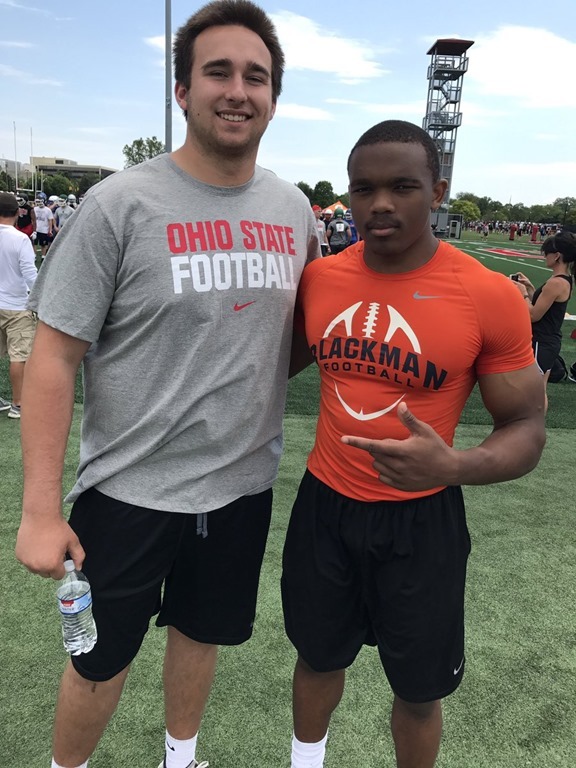 It's a huge responsibility for the young Tennessee running back, but it was no secret that Master Teague III wanted to go to Ohio State University all along. 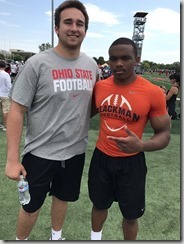 His wish became self-fulfilling on Friday during the OSU camp. That's why the Master Teague III Twitter account literally lit up with a video about his landmark decision. It's a huge challenge, says Master Teague III, but the die is cast. No one could be more dramatic or flamboyant than the Murfreesboro, Tennessee speedster himself who showered his Twitter followers with the Master Teague III morphing into his past, present, and future play shirts. The message was clear. So at this point, there's no turning back for Master Teague III, who stands 5' 11" and weighs 210 pounds. He really owned it during the one-day summer camp. With that brand of razzle-dazzle performance, nobody doubts that his sports stats will continue to make the climb.